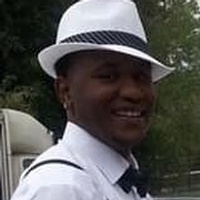 Ramon Javel Clark, 26, died unexpectedly on Friday, January 11, 2019. Ramon was a native of Asheville and a son of Fay Payne Clark and Tony Deangelo Clark. He was a member of Shiloh AME Zion Church and served as an usher. Ramon enjoyed music, video games; and loved to cook. He was formerly employed at Captain D's and Bi Lo's. Ramon was a basketball and football fan. He was proud to be a dad. Ramon was preceded in death by paternal grandmother, Remona Clark; maternal grandparents, Janell Payne and Eugene B. Whiteside. Surviving family include parents, Tony and Fay Clark; son, Javay Clark; brothers, DeAngelo Clark, Amar Clark; Xavian Richardson (Ne); sisters, Dominiqua McCoy (Micah) and Alana Daugherty; special significant other, Quantika Swinton; special nephew and niece, Kaidan Clark-Carson and Kya McCoy; other relatives and friends.